What's The Mailing Address Of The International Space Station? 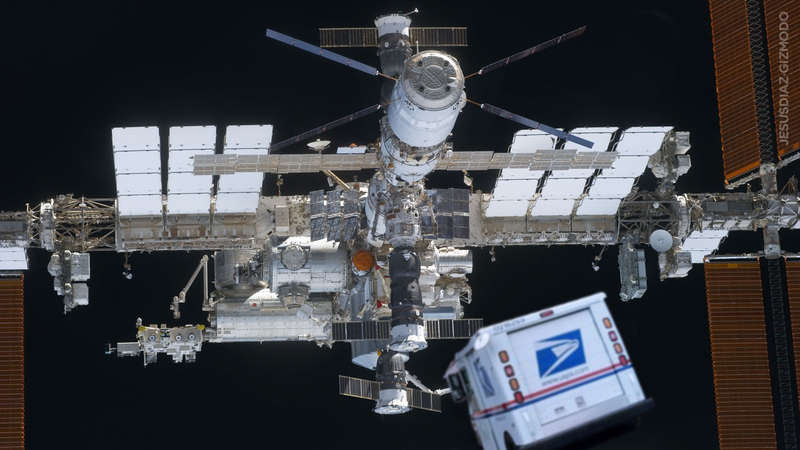 One day, when the price is low enough, we will be able to send actual letters and packages to space. But what would a mail address look like? For example, what's the street and postal code of the International Space Station? It occurred to me that Space Station is a place as deserving of an address as other frontier stations like McMurdo Base or the Amundsen-Scott South Pole Base in Antarctica. These places have formal addresses, complete with zip codes. So, if you wanted to send a gift to Don, like a SodaStream Soda Maker or a new JackBack for his iPhone 4, which address should you use? The first three digits of your space zip code would be your orbital inclination and the last two a designator for your particular space station, with ISS being the third in this location (after the Salyut series and Mir).